For a smart casual look, choose a beige blazer and Rodd & Gunn fitchett custom fit chinos — these two pieces go perfectly well together. This combination of a dark brown blazer and Rodd & Gunn fitchett custom fit chinos is very easy to make up without a second thought, helping you look dapper and ready for anything without spending too much time going through your closet. If you're searching for a casual yet on-trend getup, consider wearing a white crew-neck t-shirt and Rodd & Gunn fitchett custom fit chinos. Both pieces are totally comfortable and will look great paired together. When it comes to footwear, this getup is finished off nicely with beige plimsolls. This combo of a grey blazer and Rodd & Gunn fitchett custom fit chinos from Nordstrom is very easy to pull together in next to no time, helping you look dapper and ready for anything without spending too much time going through your closet. 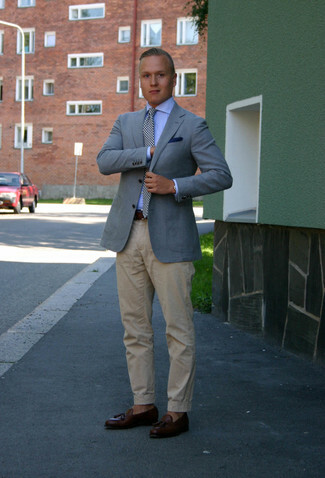 When it comes to shoes, this ensemble is finished off wonderfully with white and brown leather loafers. 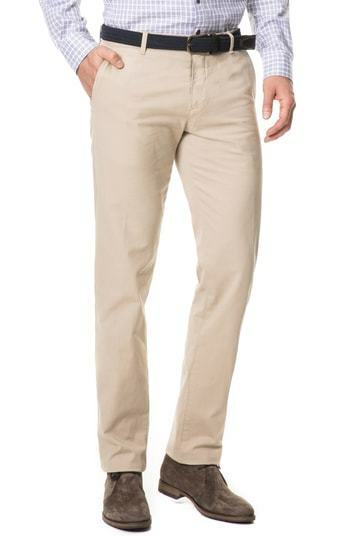 If you're on the hunt for a casual yet stylish outfit, opt for a beige short sleeve shirt and Rodd & Gunn fitchett custom fit chinos. Both pieces are totally comfortable and will look great paired together. When it comes to shoes, this outfit is round off nicely with beige canvas espadrilles. If you're after a casual yet dapper look, pair a blue plaid long sleeve shirt with Rodd & Gunn fitchett custom fit chinos. Both items are totally comfortable and will look great paired together. 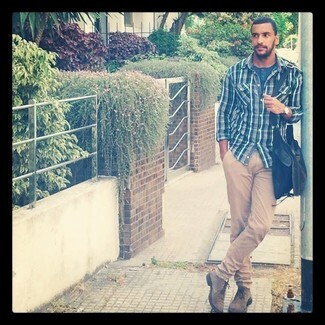 A pair of brown suede desert boots adds some real flair to this look. Contrary to what you might believe, being a dapper dude doesn't take that much the office. 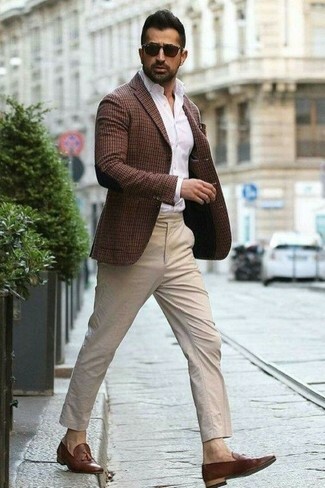 Just consider pairing a dark brown check blazer with Rodd & Gunn fitchett custom fit chinos from Nordstrom and you'll look incredibly stylish. Amp up the cool of your look by finishing off with brown leather tassel loafers. Contrary to what you might believe, getuping seriously stylish doesn't require that much effort. 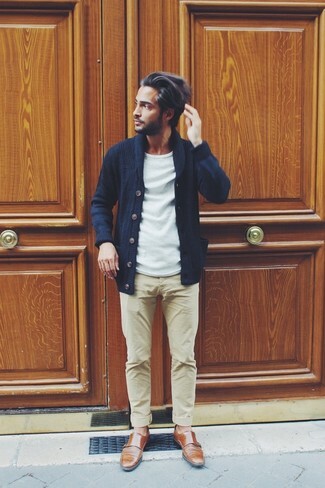 Just pair a navy shawl cardigan with beige chinos and you'll look amazing. Bring a touch of sophistication to your look with brown leather double monks. This semi-casual pairing of a light blue blazer and Rodd & Gunn Fitchett Custom Fit Chinos is extremely easy to pull together in seconds time, helping you look awesome and prepared for anything without spending a ton of time searching through your wardrobe. Shake up your getup with a dressier kind of footwear, such as this pair of dark brown leather tassel loafers.